Since the current Board of the NLAS is also its first formal Board and there is an AGM coming up in November where many of these people will be replaced, we thought it would be interesting to get each board member to answer a series of questions about themselves and their role with the NLAS. Over the next few weeks we will post each board members response to those questions. Up next is Dr. Chris Wolff, a member of our Board of Directors. I don’t really remember a time when I wasn’t interested in Archaeology, although there was certainly a time when I didn’t know the name for it. Growing up on a ranch in Texas I was always finding stone tools and wondering about who made them. But only after my first year at University, when I noticed all of the electives I wanted to take were in the Anthropology Department, and archaeology was my main interest, did I make the choice to pursue archaeology. What sort of things do you do as a board member? I mostly provide my perspective on various issues and questions concerning the future of the NLAS and archaeology more generally in the Province. I think as a CFA I can provide a different viewpoint that is sometimes helpful. I do this at various scheduled meetings and through social media. I usually attend the meetings virtually from my office in Plattsburgh, New York. 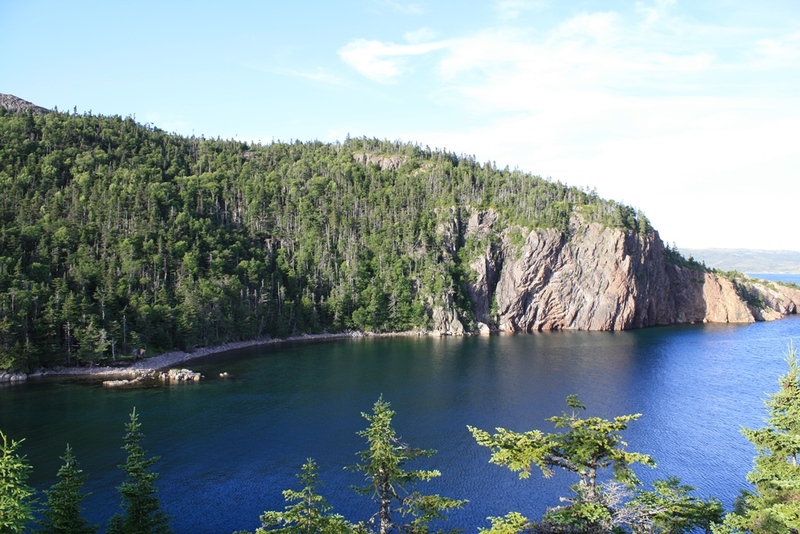 My favorite site is the Stock Cove Site (CkAl-03) where I have been working since 2008. In 2009, Don Holly and John Erwin began collaborating with me at the site, along with various students and community members over the years. The site is large and has evidence of almost every culture that inhabited Newfoundland. The primary component, however, is the large Dorset Palaeoeskimo presence. Thousands of their artifacts have been recovered to date, and several architectural features have been documented. Only a small part of the site has been investigated so far. Looking towards the Stock Cove site. The most interesting site I have worked on in Newfoundland is the Stock Cove Site, but I have a broad range of experience working at Viking Age sites in Iceland, early Palaeoeskimo sites in Alaska, Paleoindian sites in Colorado and Texas, and even a very early site in Egypt’s Sahara Desert. 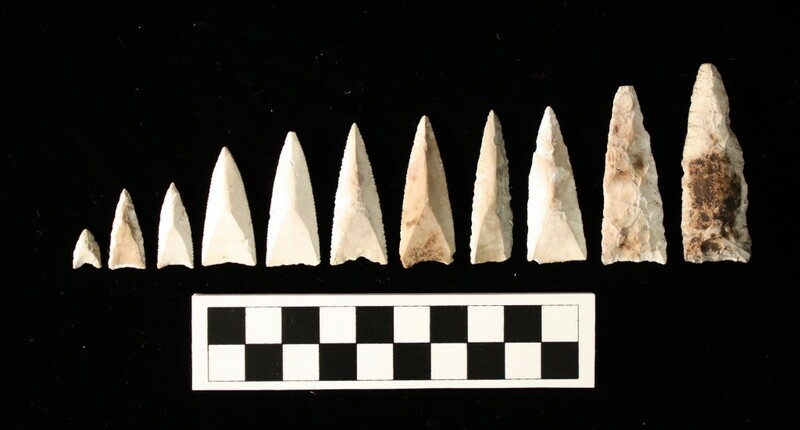 Gradation of endblades from the Stock Cove site. In your opinion, what is the one thing that no archaeologist should be without? A toothbrush. Actually two. One for your actual teeth while in the field, and the other for fine excavation and cleaning of sensitive artifacts. Get as many types of experience within the field as possible. Make yourself ready for opportunities when they arise, and find time to read the literature. Ever since I first began working in Newfoundland and Labrador in 2001 I have loved the place. The diverse prehistory and history of the region is incredibly interesting and should find a broader audience. 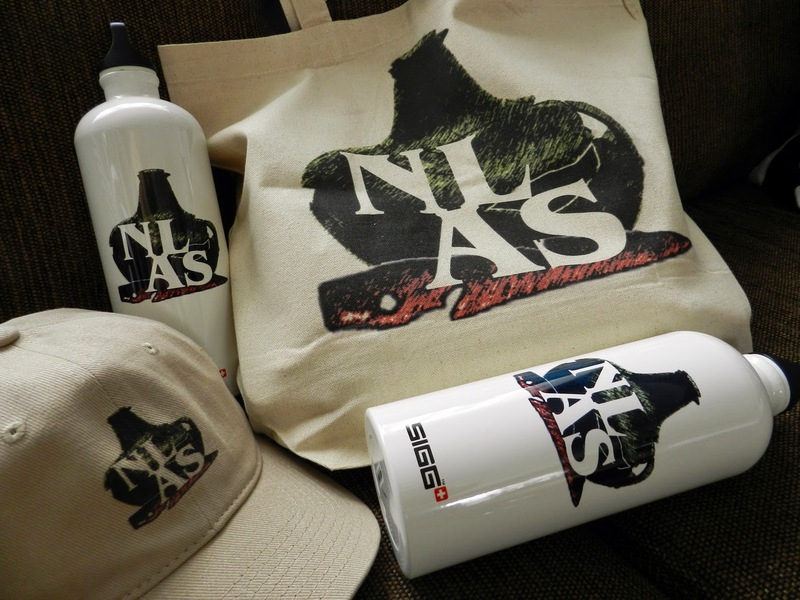 The goal of the NLAS to reach out to communities and create partnerships between professional archaeologists and the public is something I strongly believe in and I felt I should do what I could to support that. It continues to grow and makes a lasting contribution to our collective knowledge of the history of the Province. 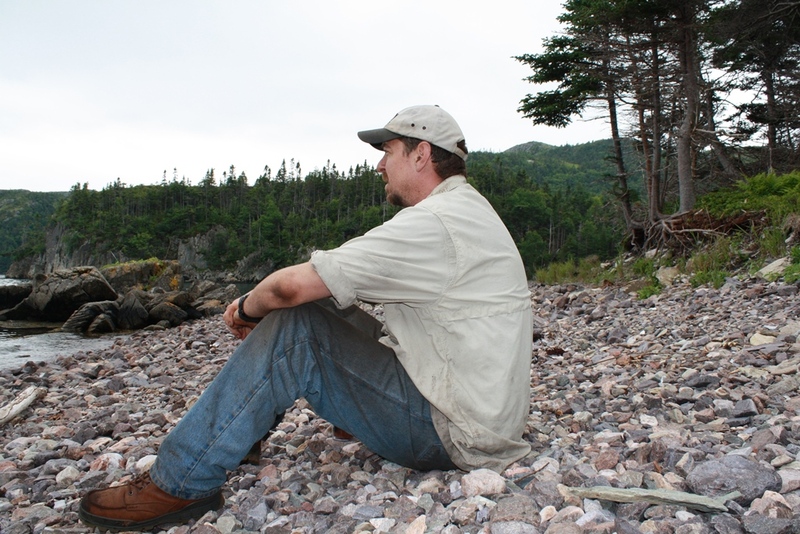 Dr. Wolff pondering the Dorset presence at Stock Cove.